This photo provided by Travis Schneider shows Jordan Feldstein. The longtime manager of Maroon 5 and brother of actor Jonah Hill has died. Jordan Feldstein was 40 years old. A spokeswoman for the band confirmed Saturday, Dec. 23, 2017, that Feldstein died unexpectedly Friday. The Feldstein family said in a statement that Jordan Feldstein called 911 after experiencing shortness of breath Friday. 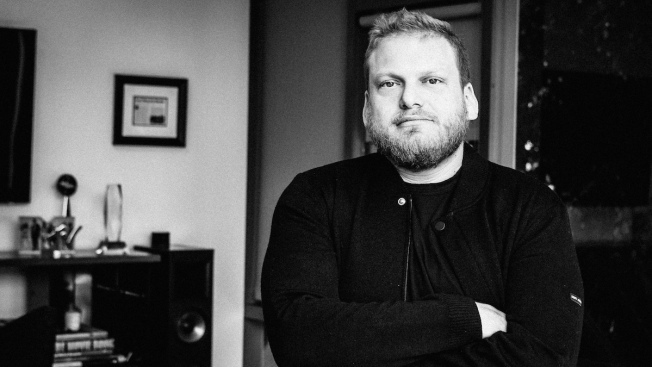 The longtime manager of Maroon 5 and brother of actor Jonah Hill has died. Jordan Feldstein was 40 years old. A spokeswoman for the band confirmed Saturday that Feldstein died unexpectedly Friday. The Feldstein family said in a statement that Jordan Feldstein called 911 after experiencing shortness of breath Friday. He had gone into cardiac arrest by the time paramedics arrived and died a short time later. Besides Hill, Feldstein is survived by his sister, parents and two children.